The Android 4.0 Ice Cream Sandwich honeymoon could be over before it even started. 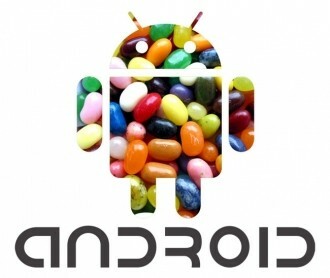 The latest from the Google rumor mill suggests that Android 5.0 Jelly Bean could arrive as early as the second quarter of 2012, a move that many will see as premature given the fact that ICS has only reached 1 percent of Android devices thus far as of February 1, 2012. According to Taiwan-based supply chain makers as reported by DigiTimes, ICS has fallen short of Google’s initial expectations. With Microsoft planning to launch Windows 8 in the third quarter, Google may want to release Jelly Bean to tablet, notebook and netbook makers sooner rather than later in an apparent push to have the OS dual-boot alongside Windows 8. It’s unclear whether or not this would work, however. As SlashGear notes, Windows 8 hardware requirements prevent a second OS installation on ARM-based PCs by users via a locked Secure Book system. No word yet on whether or not OEMs would be able to do so before the devices leave the factory. Android 5.0 is said to be further optimized for tablets which could allow the user to switch between two operating systems without having to power cycle the device. But because ICS hasn’t done as well as expected, many of Google’s downstream partners are said to be taking a conservative approach with 5.0 Jelly Bean.